Coming with over 50 years’ experience in the plumbing industry, South Orange County Plumbing Heating & Air Conditioning provides 24/7 professional plumbing, heating and air conditioning services in Aliso Viejo. 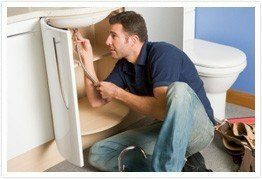 We strive to deliver immediate help to our customers as soon as they experience any problems with their residential or commercial plumbing or heating system. Our company offers premium expertise in the plumbing trade, leaving our customers completely satisfied with the level and quality of our services. At Orange County Plubing Heating & Air Conditioning a plumbing job begins the moment we get your call. We believe that even the way of parking our vans shows how good and precise we are at the job. And also this shows how attentive we are to our customers’ needs. In Aliso Viejo plumbing for us is about much more than just pipes and drains. It’s about ensuring our clients’ full understanding of the plumbing project that will be done. It’s about treating all parts of your home or business facility (and not just our work area) with due respect and consideration. From your first call for help to our follow up call, we work hard to get you back to your usual routine as soon as possible. Receive $20 off any service in the city of Aliso Viejo!